Annuities are rising in popularity, according to reports issued by at least three research organizations in recent weeks. An analysis by industry trade group Insured Retirement Institute says sales of fixed annuities and variable annuity assets reached record highs for the third quarter of 2018. According to the IRI report, there were nearly $55 billion worth of annuity sales throughout the industry in the third quarter of 2018, which was 20 percent higher than the third quarter of the previous year. The third-quarter 2018 total was 2 percent lower than the second quarter of 2018. As of Dec. 12, total annuity sales for the year were $159.3 billion, which represented a 7.1 percent increase over the same time last year when there were $148.8 billion in sales. Fixed annuity sales in the third quarter of this year increased by nearly 41 percent over 2017’s third-quarter total of $22.6 billion in sales. Variable annuity sales also saw an increase, rising from $20.9 billion in the third quarter of 2017 to $23 billion in the third quarter of 2018. 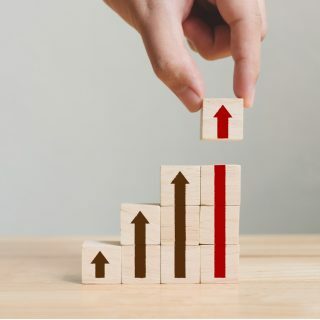 The IRI results track a report issued in November by LIMRA Secure Retirement Institute, which said third quarter fixed indexed annuities sales had smashed a record for the second quarter in a row. That report also found sharply increased sales for variable annuities. LIMRA is a worldwide research, learning and development organization that provides analysis on retirement solutions, insurance and distribution. He went on to explain that higher interest rates allow companies to increase their guaranteed lifetime withdrawals rates, which makes fixed indexed annuities a good option for people who want to ensure that they have an income stream in retirement. And yet another report predicted fixed indexed annuities and structured annuities will see improved sales growth over the next few years. This report was prepared by Cerulli Associates, a global research and consulting firm. Donnie Ethier, director at Cerulli, said in a news release, “Indexed and structured annuities will likely fuel overall annuity industry sales growth over the coming years, although a rebound to the record years of 2007 and 2008 is unlikely to come any time soon. One major factor that most experts cite as driving annuity sales is the demise of the so-called fiduciary rule from the U.S. Department of Labor. The rule never actually went into effect, but its impending implementation was thought to have caused confusion in the market, dampening sales. The 1,023-page rule would have required financial advisors to put the interests of their clients first. According to Cerulli, the pending fiduciary rule caused a decline in total annuity industry sales in 2017. Cerulli said that the fact that the new rule was delayed and then repealed fueled a sales recovery, specifically for fixed indexed and variable annuities. But the end of the fiduciary rule is just one factor cited in the spike in annuity sales. Volatility in the stock market and higher interest rates are also combining to make annuities attractive for investors. Annuities shield retirement account from the shocks of stock market downturns, while increased interest rates lead to higher returns in new annuity contracts. Another LIMRA SRI report found that younger consumers who are still working are most likely to be interested in annuities. According to LIMRA, earlier research showed that retirees who own an annuity feel more confident than who do not that they can afford their preferred retirement lifestyles, even if they live to age 90 or older.